10 orcas (one orca disapeared mid-February and is feared dead) and 87 belugas are still held in horrible conditions in the “Whale Jail” before being exported to China. According to the law only established dolphinariums and aquariums in Russia could get permits to capture the animals to be used in their facilities for educational and cultural purposes. Sale and export of animals is prohibited. 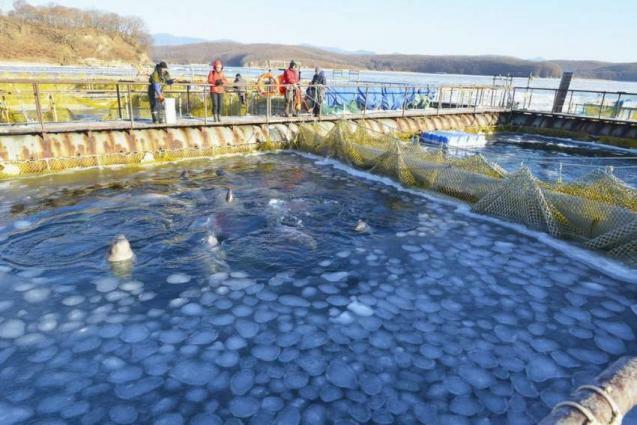 Climatic conditions in the bay of Primorsky Krai have raised a public outrage which help reach the authorities. 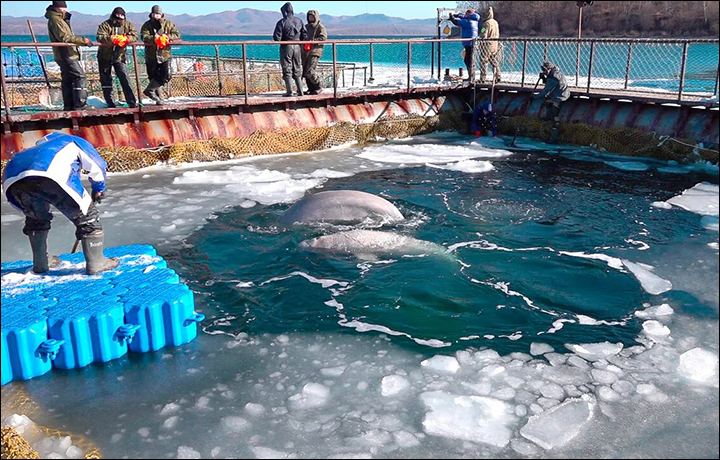 Unfortunately, Russian officials have declared on March 12th, that the orcas and belugas being kept illegally will not be moved into June/July. In January, the Keep Whales Wild Organisation has donated for this cause. On January the 28th, the female Kayla past away at the age of 30. Wild killer whales live similar life spans to humans so Kayla would have been in her prime at 30 when she died! Kayla’s condition had worsened few days before. She died with her animal care specialists by her side, officials said. As usual, Kayla’s cause of death is unknown. SeaWorld speaks of pneumonia. Interestingly enough, all of their orcas seem to die of pneumonia! Kayla was born on November 26th 1988. How many of you got to live longer? New calf seen in the wild! A new calf has been born to the critically endangered southern resident killer whales, researchers confirmed. It is the first known birth to the southern residents since Tahlequah, or J35, gave birth to a calf in July that lived only a half-hour. Tahlequah drew worldwide attention when she carried the dead infant for 17 days and more than 1,000 miles, refusing to let it go. The Japanese government has decided to withdraw from the International Whaling Commission (IWC – the international body that regulates whale hunting) so that it can begin hunting whales for commercial profit. Ula, the new-born baby in Loro Parque (Tenerife) is showing clear signs of infection. The calf has apparent skin lesions and ulcers, especially on her left pectoral fin. It would seem she has a misshapen head as well. As the picture shows below. Her mother, Morgan, is being separated from her calf by a steel gate. 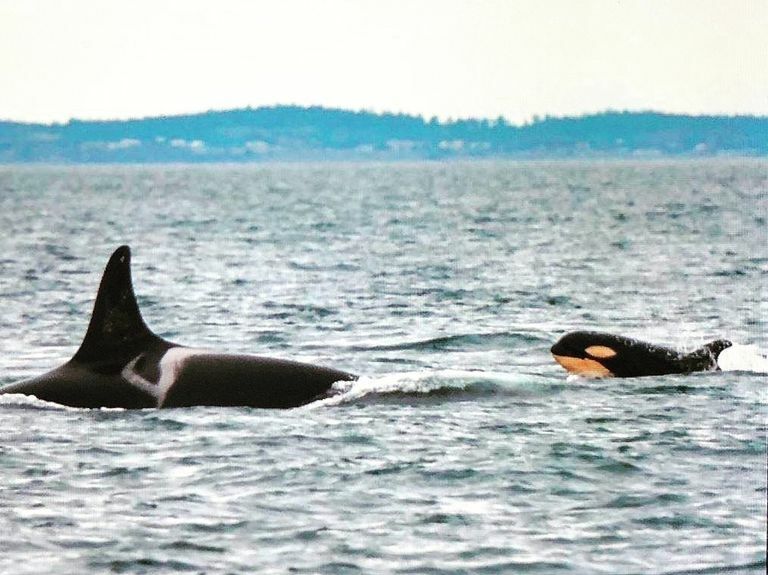 Orcas stay with their mother their whole life. 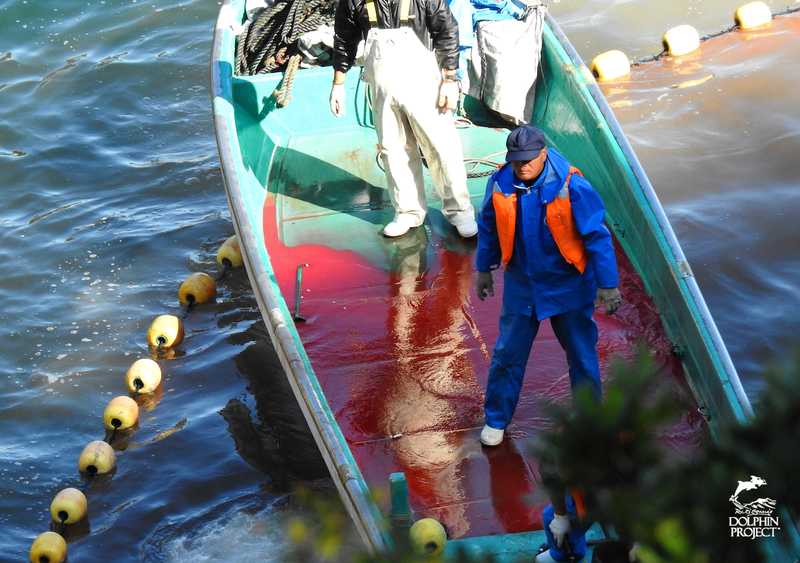 Officials have confirmed to Dolphin Project that on March 1, the 2018/19 drive season in Taiji, Japan ended. 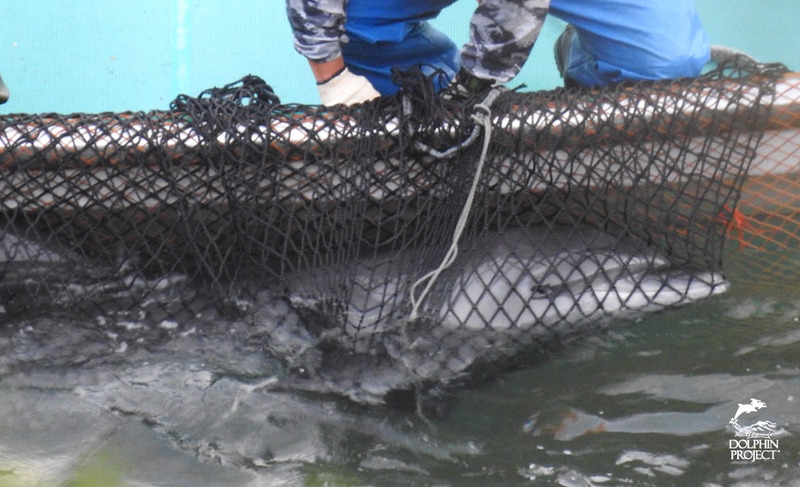 This season, Dolphin Project estimates 556 dolphins were slaughtered, while 241 were taken captive from seven species of dolphins. Worldwide demand for dolphin entertainment is the reason wild dolphins are caught – all to supply a lucrative display industry. 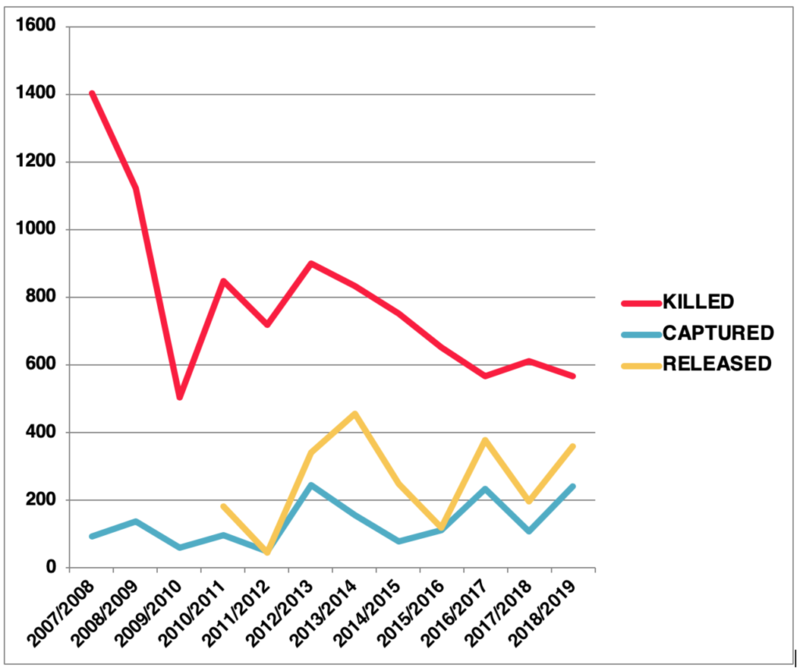 Compared to last year, 135 more dolphins were taken captive! It is IMPERATIVE that we continue to keep the pressure on and say NO to the dolphin show!